When it’s time to update your home or choose materials for a new project, look beyond ceramic or natural stone to white crystal marmoglass. This manmade option is extremely durable and highly attractive. It looks beautiful in any setting, has a remarkable shine and is resistant to damage. If you’re in the market for a lasting product that’s perfect for traditional or contemporary décor, here is what you should know about beautiful marmoglass. Otherwise known as crystallized glass stone, marmoglass is a type of material that’s fired under high temperatures in a process that closely mimics nature as it forms granite. Non-metal materials are carefully chosen and blended together before being melted in 1,500°C temperatures. It’s then heated for 36 hours at a slightly lower temperature to create a product that’s resistant to wear damage, corrosion and extreme temperatures. It’s highly resistant to acid and alkali, and that makes it an excellent choice for almost any area in your home or your next business project. This synthetic product comes with unique visual appeal that you cannot always find in nature. It closely resembles natural white thassos marble, but it costs a fraction of the price. The glass tiles have a slightly translucent appearance that allows them to stand out. The soft white color is a neutral finish that makes rooms seem brighter and cleaner without introducing an overwhelming color. This is why the tiles are easily worked into areas like a kitchen, family room, business lobby or almost any other area. While you may prefer natural materials, there are some man-made materials that have important technical edges over natural stone like marble and granite. Natural stones are sometimes porous, so homeowners have to protect the finish by having it sealed annually. High-traffic areas and exterior applications are often better suited to non-porous materials. Marmoglass is impervious to water and dust because of its non-porous nature and smooth finish. This makes it a great choice for the counters in your new outdoor kitchen, coving around the pool or a walkway through the garden. This materials is also commonly used in bathrooms and kitchens for this reason. Like regular glass, it’s not worn down by the weather or extreme temperatures. Homeowners in cold and hot climates alike are discovering the benefit of using marmoglass for exterior applications. There is no concern about radiation, and the glass is hard enough to handle high-traffic areas like commercial lobbies and busy dining areas. Whether the tiles will go into your own home or will be used for a client project, it’s wise to choose materials that are easy to care for. Natural stone tile is very durable, but marmoglass is even more resistant to dust, dirt and stains. This is one reason why it’s commonly chosen for commercial applications including restaurants, retail establishments, and high-end businesses. Resistant to most chemicals, it’s easily cleaned and cared for. You’ll appreciate the low-maintenance feature in your own home, and potential clients will also appreciate this aspect of marmoglass. White marmoglass is a lovely accent against any other color. Install it along a granite floor to make the entire room look larger and more modern. Use it as the counter in a bathroom with colored glass tiles on the wall. Install a border of marmoglass around the powder room mirror to make it a more valuable design element in the room. You can even use marmoglass to finish off built-in shelves and benches in the shower. The attractive finish will add visual appeal to the space while helping to bring out the other colors you’ve chosen. It helps tone down brilliant or bold colors that might be overwhelming on their own. If you aren’t interested in a field of white, then use the crafted glass to create the perfect accent for any area. One great benefit of marmoglass is that it can be installed almost anywhere. With the ability to handle high temperatures, cold weather and water, it’s an ideal choice for windowsills, kitchen counters and other unexpected areas. Use it to finish off a display shelf in the kitchen or install it in a home office for the printer station. Use it to finish off the backsplash behind a stove or sink. It can be installed as an ocean of white or in a smaller area. Homeowners appreciate the durability of marble and natural stone. Forged by nature through incredible temperatures and pressure, it can last a lifetime. Marmoglass is every bit as durable and stable. Properly installed with a stable base, it can also last a lifetime. With a lower purchase price than traditional stone, it’s one of the most cost-effective choices available. The colors are consistent across the board, so you can easily maintain an inventory for quick project completion. Another option is to simply order what’s required for each project to save money and space. 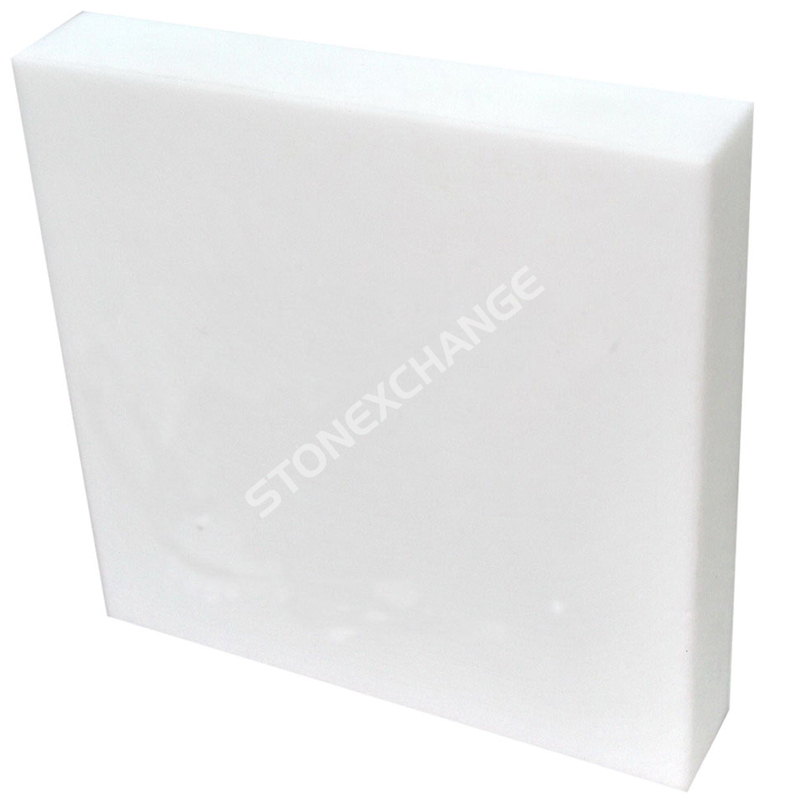 There are several suppliers for this impressive man-made stone, so you need to choose your wholesaler carefully. Look for one that offers a range of sizes and high-quality merchandise. The prices should be low, but you also want excellent customer service. The right company will strive to deliver your products promptly. Nalboor is a subsidiary of StonExchange, and we’re known for our commitment to excellence and close attention to detail. We want to help you save money on your home improvement projects while providing you with a range of design materials and options. Our company has a distribution center in Miami. We work with several major shippers in order to bring you faster delivery at more attractive rates. Our customer service staff is looking forward to working with you on your order, and you can count on us for premium marmoglass, marble, travertine and granite. Contact Nalboor today to discuss your upcoming project and see how we can be of service to you.